Optimal Protein on a Zero Carb Diet – Part 1 | Eat Meat. Drink Water. This entry was posted in Esmée La Fleur and tagged Amy Berger, Carnivore, Dr. Blake Donaldson, Dr. H. L. Newbold, Fat, Franzka Spritzler, Gastrointestinal, Health, High Fat, Histamines, Insulin, Insulin Resistance, Keto, Keto-Adapted, Ketogenic Diet, Ketosis, LCHF, Low Carb, Macronutrient Ratios, Macronutrients, Meat, Nutritional Ketosis, Owsley Stanley, Paleo, Paleolithic, Primal, Protein, Ron Rosedale, Stefansson, Strong Medicine, The Fat of the Land, Weight Loss by esmeelafleur. Bookmark the permalink. Thanks very much for explaining this so clearly, Esmée! Another eye-opener for many, I am sure! I tried very low protein Zero Carb for 3 months, and felt as if I was slowly killing myself. Followed it by Zero Carb without exactly tracking anything. After six months of this I’m still not feeling optimum, though, so I’m going to see if I can get some extra fat cuttings from the butcher, and try the eat fat first way for a while. Talk about nerves of steel .. I was holding my breath for the whole video .. gotta hand it to the French. Life is supposed to be Fun …..
Another great post, Esmée. Thanks for taking the time to write such a cogent and clear explanation. As you wrote in your reply to me in the previous post, you so delivered, Esmee! Thank you for making it accessible, easy to understand. I wrote in the previous post that I had been adding fat, and yes, it has all been rendered fat. As you had done before, for me it’s been tallow, lard, and butter. (I have to sneak this in, as my family are all still on the low-fat mantra. I can’t buy the fatty cuts of steak or chuck roast, as they would go ballistic. I add extra lard onto my eggs in the morning.) I’m on my way to plowing through “The Fat of the Land,” along with “Strong Medicine.” I’m also going to read all the links you’ve kindly added in this post. You write “. . . I reduced my protein to 100 gm (16 oz of meat) . . .”: is 100 grams the amount of protein in that portion of meat? This is my fourth month of doing zero-carb. I hope that by doing these tweaks, I can start to see results. I’m not giving up! Yes, Jasmine, every ounce of meat has approximately 6-8 gm of protein depending on how lean it is. The leaner the meat, the higher the protein per ounce. What a beautifully-written post, Esmée! Such a clear, uncomplicated explanation. Thank you Karen! Your opinion is greatly appreciated. Tnk you once again Esmee for consolidating all this info. I’m so glad I’ve been reading all links & most suggested reading, making this more understandable. Could it be for some, as simple as getting all the fat from 80/20 HB making sure to get all the fat & if still hungry on after 1lb of protein eat more fat to get the desired results? Look forward to on going discussion & clarity. I’m so grateful you continue to pursue this WOE so people like myself can follow & benefit from your experiences. Hi Robyn, I do believe that it may be just that simple. Excellent Article Esmee La Fleur! A lot of very important information! Great Job! Thank you for all this information. Now, I would like to gain weight as I am really too thin. Is there a way to use this knowledge for that goal? To gain weight, you would eat your optimal protein plus enough fat to give you sufficient calories for weight gain. You might also need to do resistant exercise (weight training) to build lean body mass. I’ve been zero carb for 6 months eating about 2 lbs of meat day, which is a generic advice given as you stated. All thats happened is I got fatter. What would be a good range of protein intake for a 6’2″ male so I can get rid of the fat I put on? If I was you, I would start with the 100-120 gm range recommended by Stefansson and Donaldson. That would be about 16-20 oz of meat. Then add as much fat as you need to feel satisfied. Hi Esmee, I enjoyed your article and agree with your protein and fat recommendations. However, several times, you say 16 oz of meat will provide 100 gm of protein, and in most cases this is not true. For example, 16 oz of 80/20 ground beef is 78 g protein, 16 oz ribeye with lean and separable fat is 79 g protein. 95/5 ground beef is 97 g protein – finally close to your recommendation. Most people who agree with you will opt for the fattier cuts, however. And since you make no distinction (you only state several times that 16 oz of meat is 100 g of protein, regardless of fat content), then I am concerned that people will read your article and follow your recommendation to simply eat 16 oz of meat each day thinking they are satisfying their protein needs when they are actually falling well below. Otherwise, great article – thank you! Thank you for your comment, Crystal. Most meat has a minimum of 6 gm of protein per ounce, some has as much as 8 gm per ounce. I opted for the low end when I stated that 16 ounces of meat has 100 gm of protein. Technically, it would be 96 gm of protein. 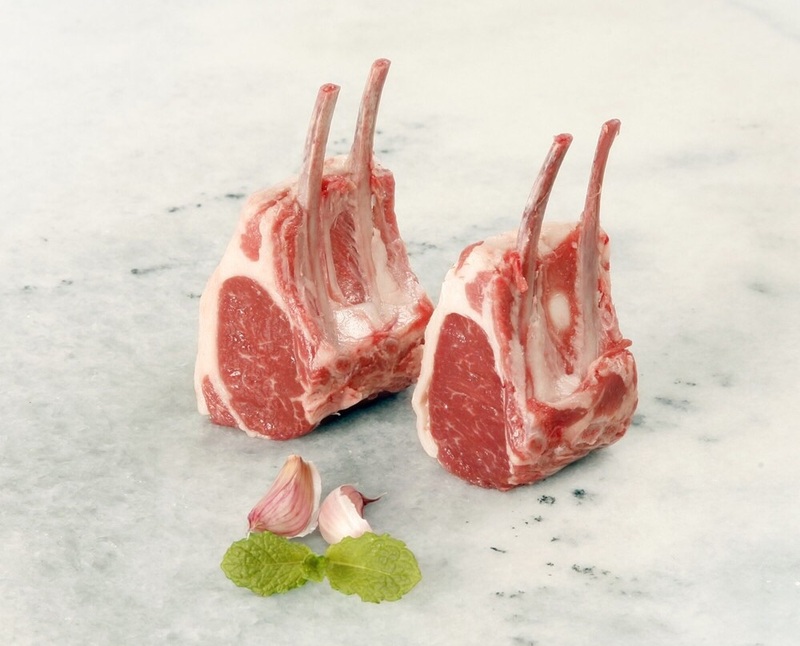 It also depends on whether you measure the meat raw or cooked. Cooked meat will have more protein per ounce than raw meat because some of the moisture gets cooked out of the meat. This is why I recommend that people use a program like Cronometer to check the meat they are actually eating. But your concern is certainly a legitimate one and I appreciate you pointing it out. It’s funny. Technically, I’m a professional in this field, yet I find myself constantly learning from *you! * It’s a shame that you’ve arrived at so many of your insights and gained so much of your knowledge after struggling so long with such intractable health issues, but you’re doing a world of good in helping so many other people figure things out. Let that be the light that has come out of that darkness and trial. Pingback: Optimal Protein on a Zero Carb Diet – Part 2 | Eat Meat. Drink Water. Do you have any tips on how to enjoy the fat in the meat more? I find the texture very chewy and unpleasant (but maybe this is the collagen or connective tissue I’m getting and not necessarily fat). 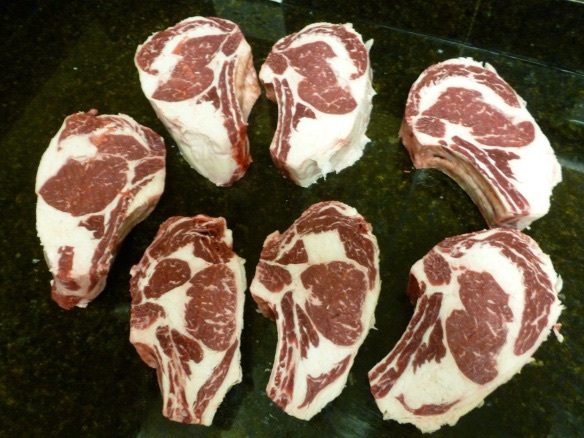 Did the Andersens have any similar trouble with enjoying the fattier ribeyes that they eat? Yes, the chewy parts are collagen and connective tissue, not fat. Collagen and connective tissue have lots of goods stuff for your own collagen and connective tissue. These animal fibers also feed the good bacteria in your gut. If you have a butcher near you, see if you can get some kidney fat called suet. It has almost no collagen or connective tissue and can can be very lightly panfried. It literally melts in your mouth. You may want to change the wording you use when you talk about ground beef. You said “When raw, 80/20 ground beef is 70% fat, but after cooking, the fat percentage drops to less than 60%.” That statement is factually incorrect, it is 20% fat. But after a bit of research I believe that you meant that for 80/20 ground beef, 70% of the calories come from fat. Please understand that I am not trying to critique your writing, I want readers to understand what you are saying. Hi Cameron, you are correct. The percentage is by calories, not weight. Thank you for pointing this out. HI Esmée, thank you so much for your website. I’ve been reading it, or rather devouring it, thoroughly since I went ZC about a week ago. I’m loving ZC and it took me about 2 days to adapt. I discovered your website after searching the internet about salicylates after my doctor suggested that I try a low salicylate diet (have been coming out in hives for something like 10 years). When I researched low salicylate diets it all sounded so complicated and then I stumbled across your website I discovered that ZC will help me in many ways (eg. weight reduction, fixing lifelong inflammation, craving carbs etc.). Today I discovered that a new butcher shop has opened up 3 blocks from where I work and they specialise in grass-fed beef. I was worried about their meat being too lean, however your comment about suet above has pointed me in the right direction. They say they sell suet,so, when I go there, if the meat is too lean I shall just ask for some suet as well. That should work shouldn’t it? Hi Esmée, thanks for your reply. I have read your histamine page but when I first mentioned histamines to my doctor he thought it more likely that I am salicylate intolerant. I don’t seem to have a problem with meat of any age so I’m thinking I might be okay with histamines. Btw, the butcher didn’t have any suet but pointed to jars of tallow which were a bit expensive so I left them on the shelf. I use butter when I feel like it – thanks for that tip. I had this at first too and from time to time. I was wondering what it was…..histamines…makes sense now. I found it REALLY difficult to eat 100 g of protein a day last year. It made me feel sick standing over the sink trying to get a tin of tuna down my neck so I could hit my macros. There seems to be more disagreement over protein than anything. I don’t know who to believe TBH. The type of meat makes a difference. Have you tried a nice fatty steak? Please correct me if I’m wrong, but I thought histamine is usually on the outside of the meat, so washing the meat before you cook should be a good way to eliminate most histamine, that’s how I do it (under warm water) and it seems to work as I don’t have any adverse effects since I do this. Yes, the bacteria on the outside of the meat is what creates histamines for the most part as I understand it. Obviously, if the meat is ground, then the bacteria gets spread throughout the meat and the histamines proliferate rapidly and cannot be washed away. I’m surprised that insulin would go up in a no carb, no sugar, all meat diet, but I must say I’ve experienced more thirst since I started and find myself to drink more then 1.5L of water now. I have to admit that due to family reasons and holidays I’m not yet 100% on meat, I’m doing my best, so hard to evaluate for now, I hope to be on 100% meat and water next week. I’m a little concerned about the kidneys function, especially as the meat I use is less fat then those in the pictures but we’ll see what happens. Protein does not harm kidneys. The only time protein is a problem is if your kidneys are already damaged. Correct. Grams in weight is not the same as grams of protein. Milles merci pour cette article qui m’aide beaucoup sur le taux de protéines à manger , j’ai voulu suivre les recommandations de beaucoup d’autres personnes et j’étais pas bien sûrement beaucoup trop de protéines, de très gros maux de tête ,une glycémie très élevé ( je suis insulino-resistante,je le sais depuis peu) alors je réduis les protéines jusqu’à ce que ma glycémie soit parfaite , encore milles merci.